Let’s draw a facial makeup of the Monkey King Sun Wukong. Facial makeup is a unique formative art of Chinese operas. Facial makeup showcases the role and personality of the performer. Listen to the audio of this report narrated in Mandarin Chinese. Different from makeup of operas of other countries, facial makeup is a unique formative art of such Chinese operas as Peking Opera, Sichuan Opera and Kunqu Opera. By painting unique design, colors and patterns on the face of a performer, facial makeup showcases the role and personality of the performer in the opera by symbolic techniques. 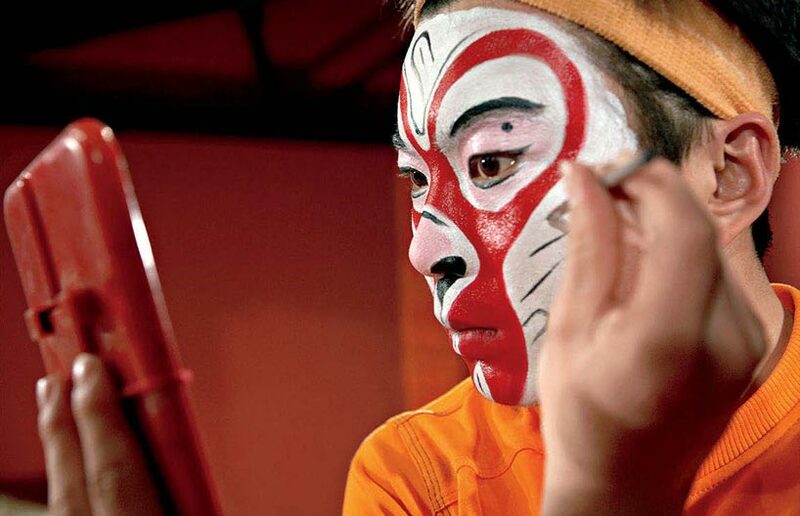 The roles of Chinese operas encompass male role (sheng), female role (dan), painted role (jing) and clown (chou), each of which calls for different makeup patterns. The facial makeup of male and female roles is rather simple with slight cosmetics, but the facial makeup of the other two remains relatively complicated, that is, one facial makeup for one role, which is ever changing. Facial makeup is a character-oriented makeup which can directly demonstrate the character, temperament, moral character, emotions and mentality of the figure. Through the makeup, the audience can easily see the judgment on the figure. For instance, a white face of Cao Cao indicates duplicity and a red face of Guan Yu rejects loyalty. Apart from character demonstration, facial makeup can also suggest various conditions of the figure. For example, “a crying face” of Xiang Yu implies his tragic ending; frowning Bao Zheng hints his concerns and worries; the monkey face of the Monkey King Sun Wukong means that he is originally a monkey. Facial makeup has become part and parcel and an important feature of Chinese Operas as Chinese operas grow and thrive in the history. 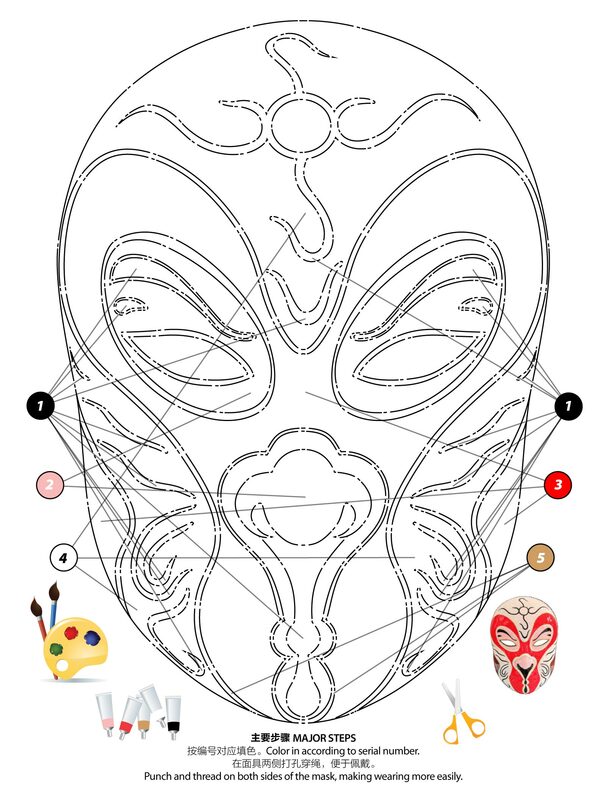 Now, let’s draw a facial makeup of the Monkey King Sun Wukong. 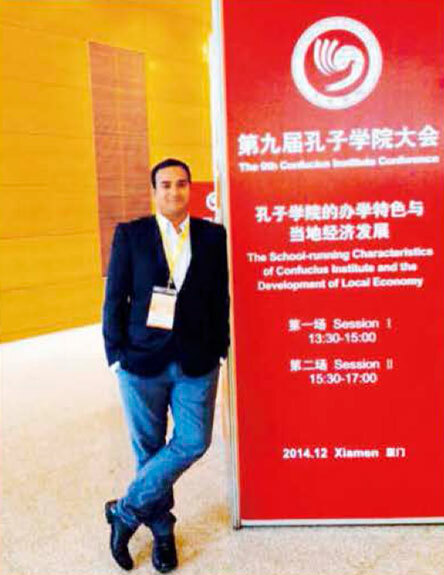 Mukesh Kumar Verma, Indian: “China and India are very similar in aspects such as traditional culture, lifestyle, interpersonal relations and family relations, which provide great possibilities for collaboration between the two countries”. Everyone has their dream and I am no exception: my dream is to become an expert in Chinese and Indian economics, so that I can help the two economies to have more cooperation, and thus make my own contributions. There are many similarities between India and China, among the most significant being that we are both very ancient civilizations and that we both have large populations. 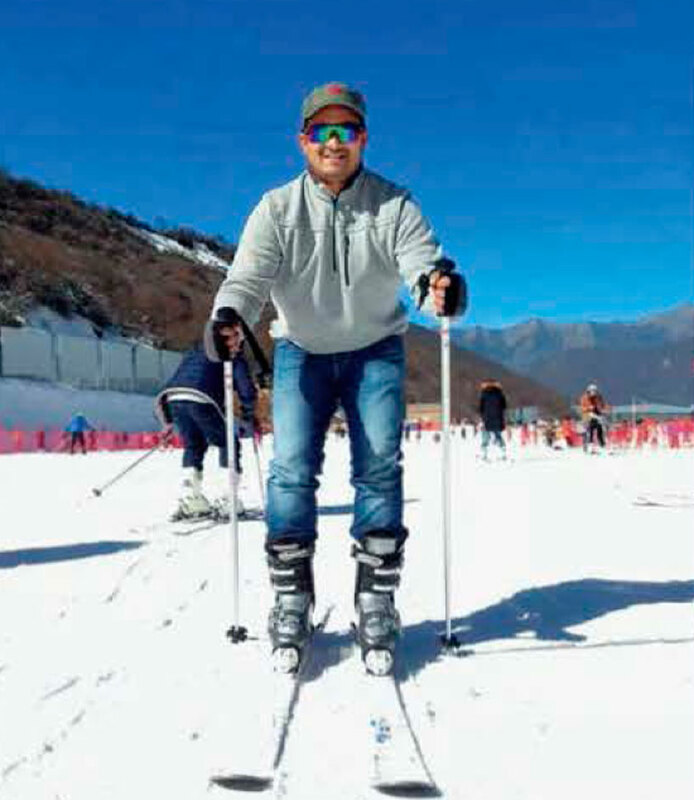 It is no easy task to develop a country which is vast in size, and high in population, with such a long history, but while I was doing my Master’s degree in China I witnessed China’s development firsthand. China’s rapid economic development really surprised me, so I wanted to stay in China for longer and to spend more time there in order to know more about it. Later, I returned to China to continue my studies. My friends and my family all told me how difficult it was to do a PhD in another country, because I would have to be completely focused on and dedicated to my studies. 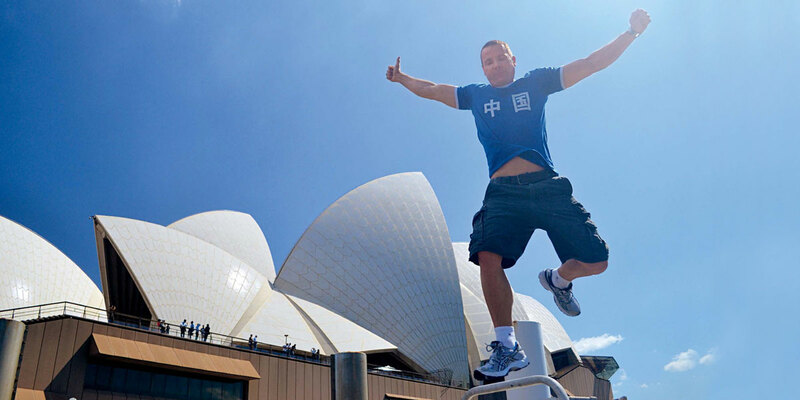 Although I was prepared psychologically before coming to China, it wasn’t until I began my studies that I realized the pressure was greater than I had imagined. The requirements for a PhD program are very high, and I was not alone in feeling this way, as all of the other PhD students were undergoing a great challenge. At first I was not very accustomed to life as a student in China, but my enthusiastic teachers and classmates helped me eventually get used to it, for which I am very grateful. The help I received from my supervisor and my classmates allowed me to learn many new skills, such as how to write PhD papers. I had previously written papers when I was doing my Master’s degree, but it was for a different major, so in my first semester of the PhD program writing papers and essays was tough for me. However, the teachers at Sichuan University helped me develop my skills, and thus I was able to achieve great progress in my major. Aside from economics, I’m also very interested in Chinese culture. Knowing this, my supervisor introduced a taijiquan teacher to me, Mr. Yang Xiaoling, so that I could experience the wonder of Chinese culture during my regular studies. 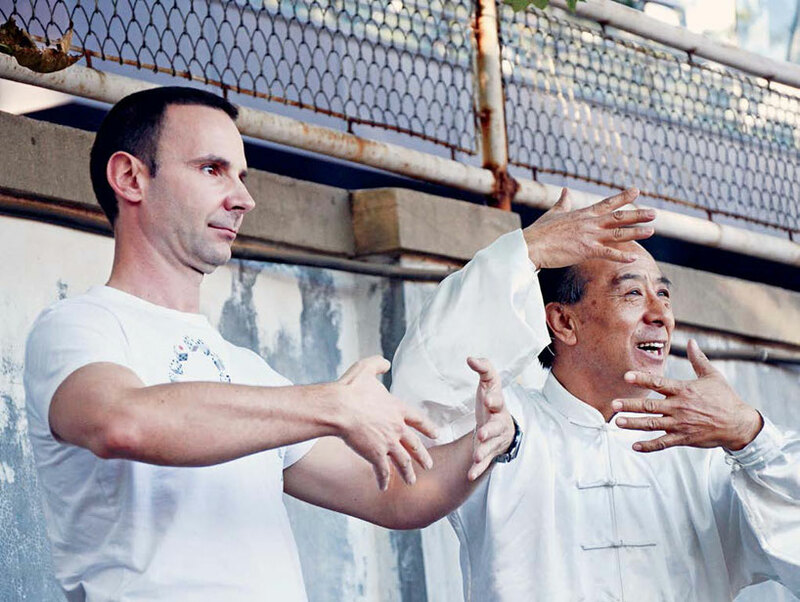 Mr. Yang is a sixthgeneration successor of Yang-style taiji , and he taught me health promotion methods and traditional taijiquan . 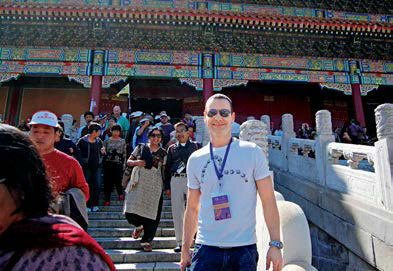 In my spare time I also explored the beautiful scenic sites that Sichuan has to offer, such as Jiuzhaigou and Leshan. At these places I learned about the mysterious religion of Tibetan Buddhism, and on the way there I also felt the sadness and pains of the families affected by the Wenchuan Earthquake. 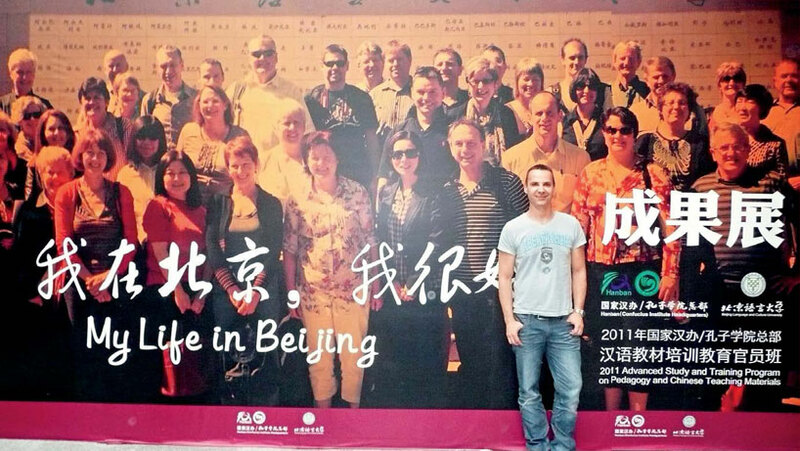 These memories left me a deep impression, and helped strengthen my understanding of China. China and India are very similar in aspects such as traditional culture, lifestyle, interpersonal relations and family relations, which provide great possibilities for collaboration between the two countries. They are also the two most populous countries in the world, with their total population accounting for over a quarter of the world’s. China is the largest economic power in Asia, and India is the third largest, so I think if the economies cooperate more with each other, they can potentially become the largest economic partners in the world. I always ask myself, “One day will I be able to take the train or drive from Delhi or Kolkata to Chengdu, Shanghai and Beijing? Will I be able to fly directly from my hometown to Chengdu and other cities throughout China? Will Chinese and Indian tourists be able to travel to the other country without the need for a tourist visa? ” I hope that China and India, two great civilizations, can be as close as brothers, and that in the 21st and 22nd centuries more and more people will travel between the countries, just like the Buddhist monks of ancient China Xuanzang and Faxian. The “Belt and Road” Initiative that China is currently implementing is the reincarnation of the ancient Silk Road; it will not only benefit the people and enterprises of China but also bring many development opportunities to countries along the route, and even the adjacent countries, and will contribute greatly to the future of the world. I hope that more Indians will come study in China, and after completing their studies will become envoys of friendship and culture, like bridges for the two countries’ development. I wish to become such a person. I also hope that more Chinese people will go study in India, so that the two countries may assist each other in their development. I believe that the “Belt and Road” Initiative signifies not only China’s dream of great rejuvenation, but also my dream, and even the dream of the whole world, since it will lead the world to a future full of hope and opportunity. Number 49. Volume II. March 2017. At the Confucius Institute Conference held in Kunming on 10 December 2016, a greyhaired but hale gentleman received the “Confucius Institute Individual Performance Excellence Award of the Year” from Chinese Vice Premier Liu Yandong. 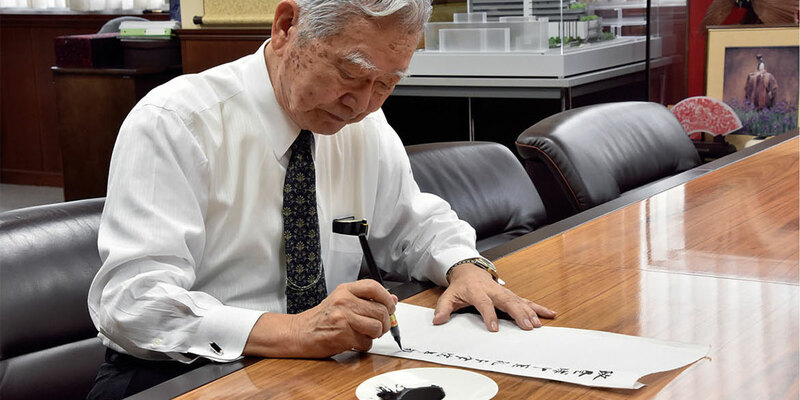 He is the 86-year-old Mr. Sohei Shinka, Chairman of Board of Trustees of the Chinese Medicine Confucius Institute at Hyogo College of Medicine (CMCI at HCM) in Japan. Mr. Shinka graduated from the Faculty of Medicine of Osaka University, specializing in immunology. Under the influence of his brother, who studies Chinese history, he has read extensively Chinese classics including the works of Confucius, Mencius, Laozi and Xunzi, and has thereby gained a wide knowledge of Buddhism, Confucianism and Taoism. He is so familiar with The Analects of Confucius that he often unwittingly quotes from the book during conversations. For example, when talking about Sino-foreign relationshe cited from The Analects of Confucius: Li Ren: “ If you are virtuous, you will not be lonely. Instead, you will always have friends.” when speaking of life experience, he quoted, “At sixty, my ear was an obedient organ for the reception of truth.” He also intensively reads traditional Japanese literature and Chinese poems and studies calligraphy, Go and Shogi. 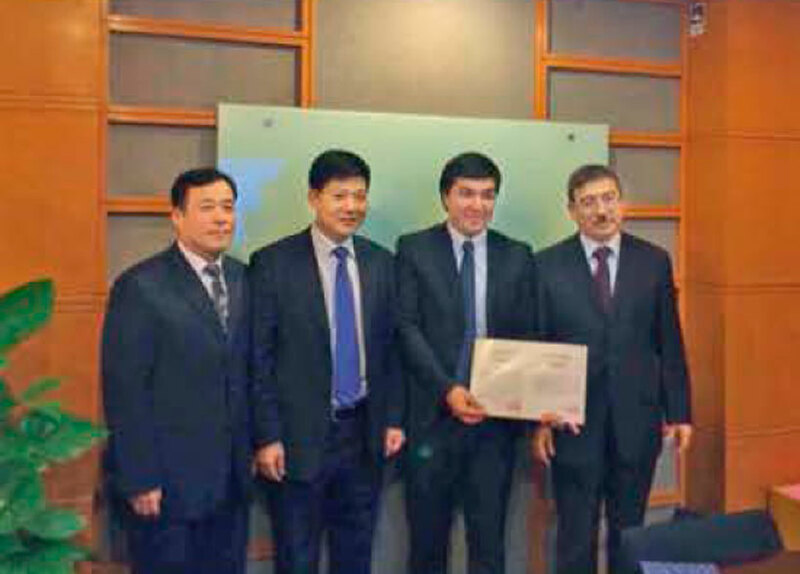 Mr. Shinka was excited when he was informed that Hyogo College of Medicine was approved to jointly prepare for the establishment of CMCI together with Beijing University of Chinese Medicine. Although he was over eighty, he went to Confucius Institute Headquarters in Beijing and the Chinese partner institution many times to communicate with them. Everyone who has had contact with him is touched by his intense fondness of traditional Oriental culture and his wish to integrate traditional Chinese medicine (TCM) with Western medicine to cure diseases and save more patients. In 2012, his wish finally came true. 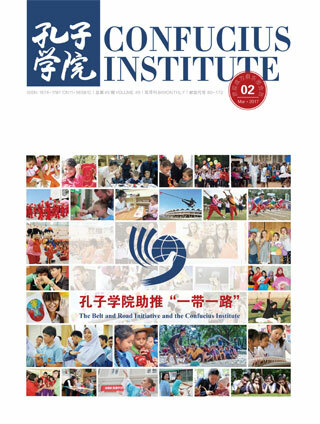 On 9 November that year, the Chinese Medicine Confucius Institute, jointly established by Beijing University of Chinese Medicine and Hyogo College of Medicine, officially began operations. 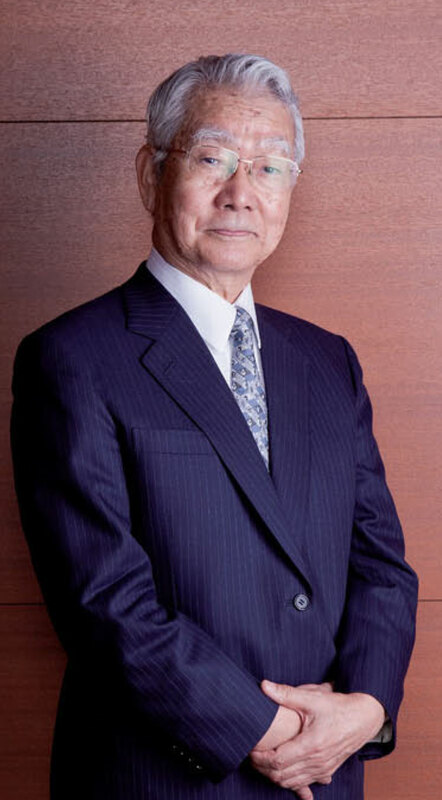 Mr. Shinka soon established the Board of Trustees and invited the presidents of Hyogo College of Medicine and Hyogo University of Health Sciences as well as other leading officials of the two universities to hold important posts of the Board. Therefore, decisions of the Board naturally become those of the universities, leaving out lots of procedures for examination and approval. 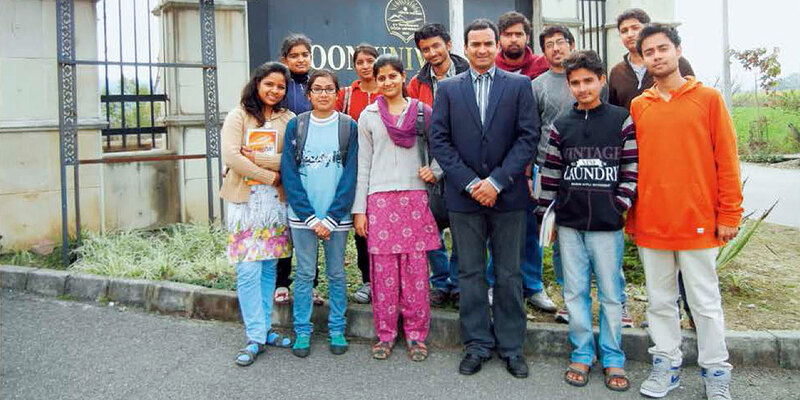 Both administrative and academic activities are on the increase with the establishment of CMCI. Considering that Mr. Shinka is responsible for the administration of two universities and a large hospital with 3,618 employees and 962 beds, one can imagine how busy he is every day. Nevertheless, he will, however occupied he is, put the activities of CMCI on the top agenda and give them high priority immediately when they are presented to him. On 9 January 2016, when he learned that CMCI, Kyoto University and the Research Department of Medical History of Kitasato University Oriental Medicine Research Center would jointly hold the International Forum on Traditional Medicine, he immediately gave up his weekend and spent over three hours travelling from Osaka to Tokyo to assist the Chinese and Japanese directors of CMCI in publicizing the Confucius Institute. It was already midnight when he took the last Shinkansen back to Osaka after attending the gathering according to the Japanese etiquette. On the second day, however, he made appearance in another event on time. The Japanese government abolished Han medicine after the Meiji Restoration in 1868. As a consequence, practitioners of traditional medicine lost their legal status. They have not been recognized as “doctors” so far. 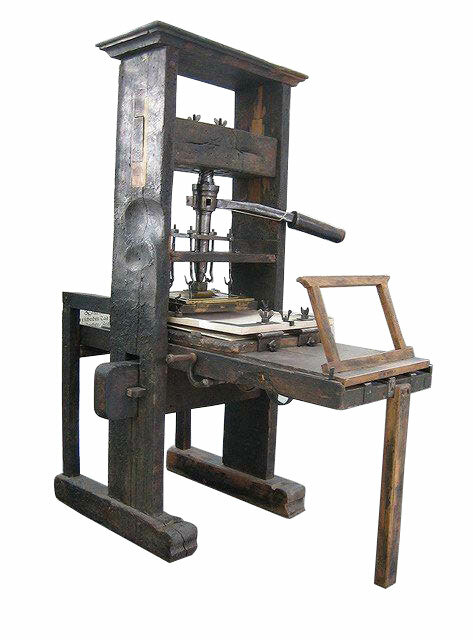 In this context, therefore, publicizing traditional Chinese medicine is beset with difficulties. In support of more students’ study of Chinese medicine, Mr. Shinka has established the Department of Oriental Medicine and added to the regular system of university education such courses as Medical Chinese, Introduction to Oriental Medicine, Therapeutics of Han Medicine, Formulae of Han Medicine, Clinical Therapeutics of Han Medicine and Introduction to Taijiquan. 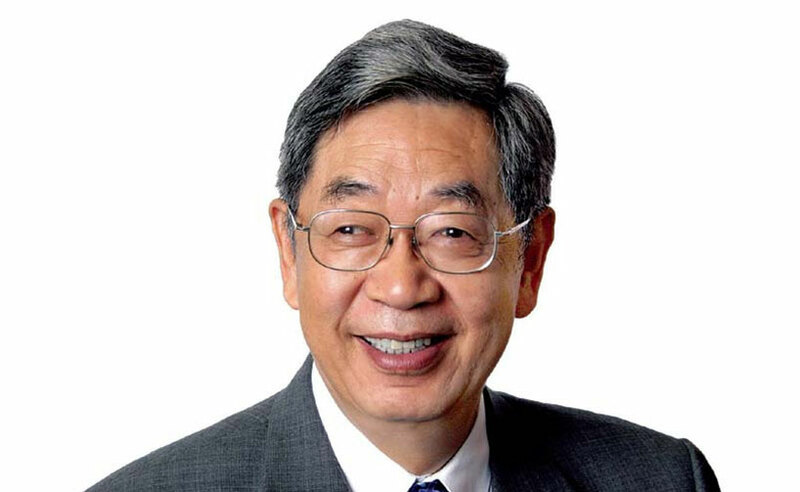 Since 2007, those courses have been taught by Prof. Dai Yi, Japanese Deputy Director of CMCI, which can provide support for the teaching and scientific research and talent cultivation at HCM as well as the exchange and cooperation with Chinese universities by offering Chinese language teaching, hosting cultural and academic lectures, organizing international seminars and supporting cooperative student education and joint publication of research findings. In addition, it can also help students and local citizens to learn Chinese and acquaint themselves with China so as to strengthen mutual understanding and friendship between the two countries. Since 2012, the above courses have been one of the important ways CMCI provides support for HCM. 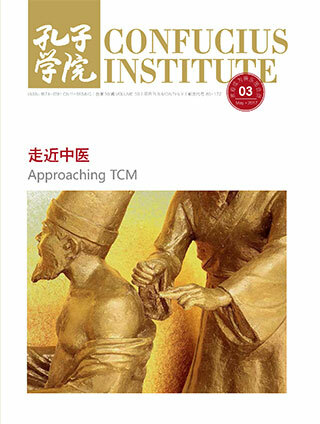 Through the courses, students gradually come to know the basic knowledge of TCM and CMCI. They invite CMCI to take part in the “campus festival” on their own initiative and add the introduction to CMCI into the publicity materials. 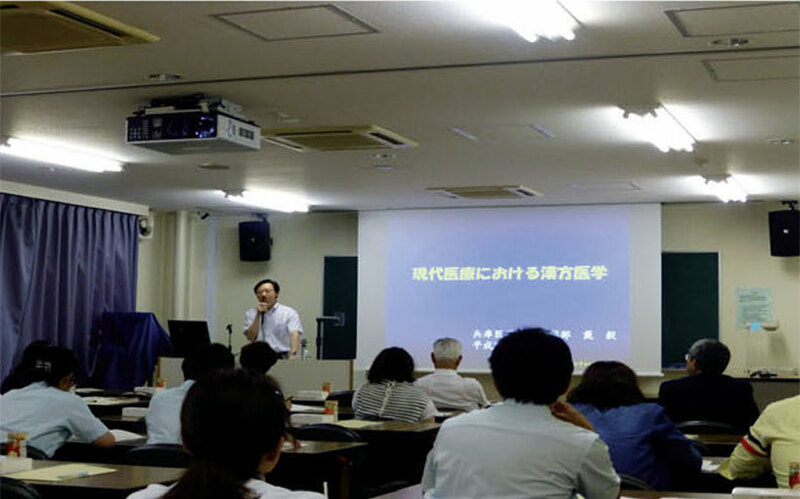 With the support of Mr. Shinka, the Institute for Medical Education and Clinical Treatment of HCM, the CMCI and the famous Japanese drug company Tsumura jointly organize six to eight lectures on Han medicine every year. For example, the lectures in 2016 focused on such topics as “Chinese Nobel Laureate”, “Han medicine’s treatment of common and difficult diseases” and “common preparations of Han medicine”. Every lecture saw the active participation of doctors and nurses of the university. Mr. Shinka himself would sit in the first row, listening attentively and sometimes raising questions from the perspective of philosophy for everyone to consider and discuss. Tu Youyou’s winning the Nobel Prize for Physiology or Medicine in 2015 inspired the world to have a completely new appraisal of traditional Chinese medicine. Likewise, to make more people truly understand and believe in TCM, more scientific studies should be carried out. 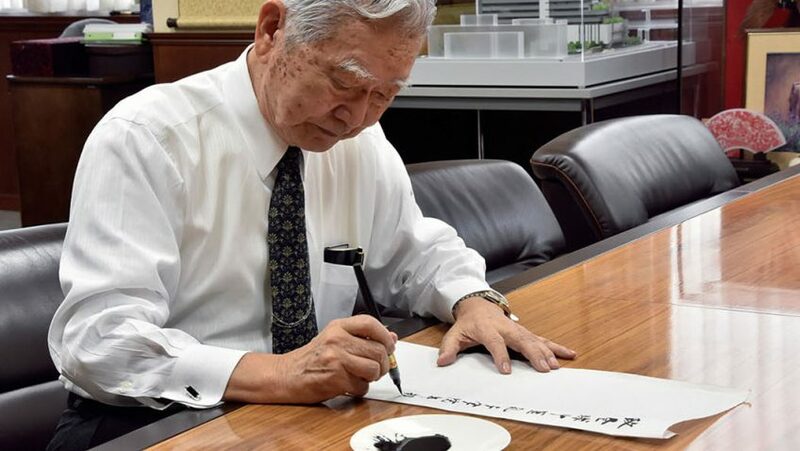 To achieve this goal, Mr. Shinka has been adopting another measure since 2013 that the university raises three million yen every year by itself and invites young scholars at universities to bid to undertake scientific research projects of CMCI. Everyone who wins the bid will receive a fund of 500,000 yen. In the past three years, many young scholars have applied for these projects, which mainly focus on such topics as the analysis and curative effects of a single drug or a famous prescription of TCM, or the study on the mechanism of pain treatment in an attempt to explain TCM with modern science. 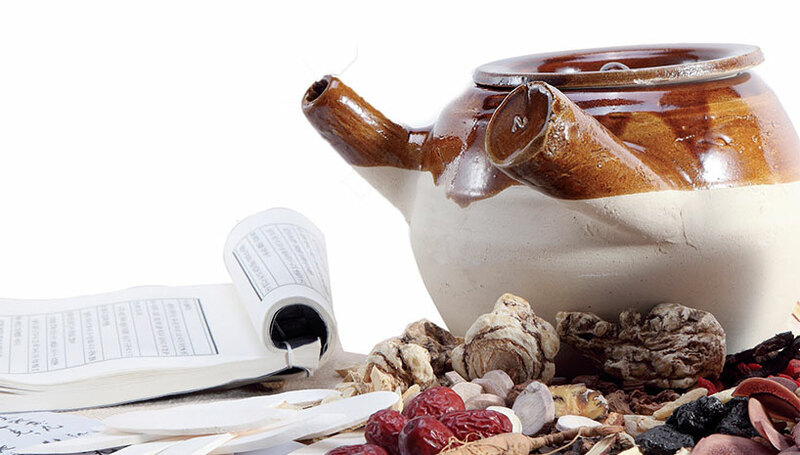 In recent years, there have also been studies on the quality assessment of traditional Chinese medicine of the same variety but from different places. 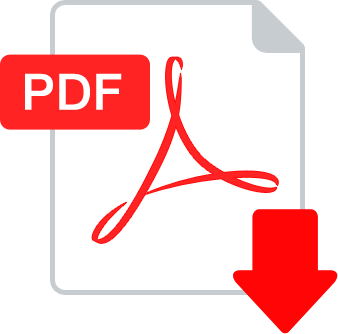 Since those research findings carry the signature of CMCI when published, the name of CMCI has for the first time appeared in the biomedicine database of the United States National Library of Medicine (PubMed). The database has so far included seven SCI papers with the signature of CMCI at HCM. The Institute for Advanced Medical Sciences of Hyogo University of Health Science and CMCI hold seminars together during the carrying out of those scientific research projects. At the seminars, ancient Chinese medicine meets and collides with contemporary Japanese medicine, the prospects of which are promising. Mr. Shinka shows special interest in painting. He kept learning oil painting under the guidance of his mother from his childhood and was so deep in love with it that he even hesitated between oil painting and medical science during the entrance examination for his university study. When he held an exhibition of oil paintings at Shinsaibashi in Osaka in August 2016, he pointed to his own work and told the visitors, “My dream after retirement is to showcase and popularize the knowledge of traditional Chinese medicine in my paintings”. Li Qian (Germany): “When they told me “I like your class,” I felt an intense happiness, which is surely a lifelong remembrance”. The October sun shines on the Mosel Valley, a striking­ly beautiful picture. 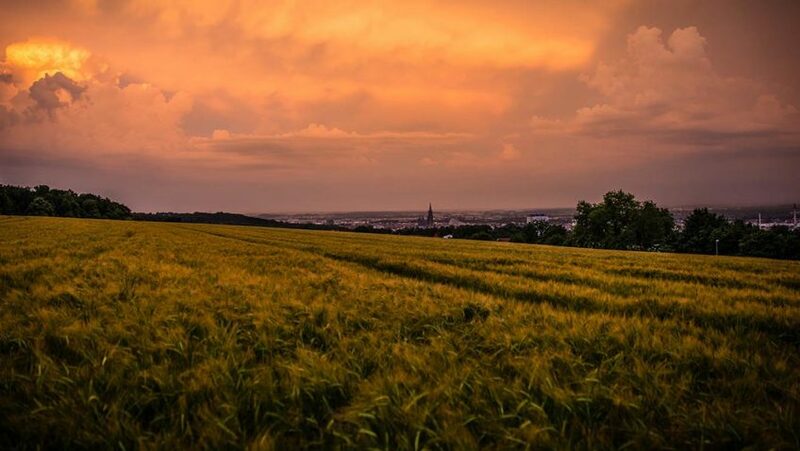 On the train heading from Bonn to Trier, the passengers, Ger­mans or foreigners, are all fascinated by the gorgeous landscape and amazed at the spectacle of nature. My trip in Ger­many started here. The Auguste-Viktoria-Gymnasium, where I work, is one of the best middle schools in Trier. 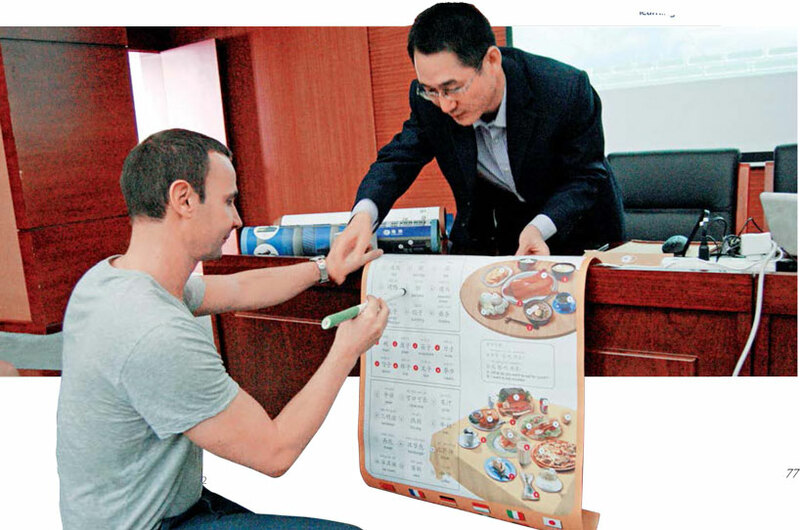 It is less than one year since the students there began learning Chinese, so the school employs quiz­zes and colorful flashcards as the main teaching methods to stimulate students’ interest in Chinese. As a Chinese teacher, my job is to introduce the background of Chinese culture in order to help them better understand China. 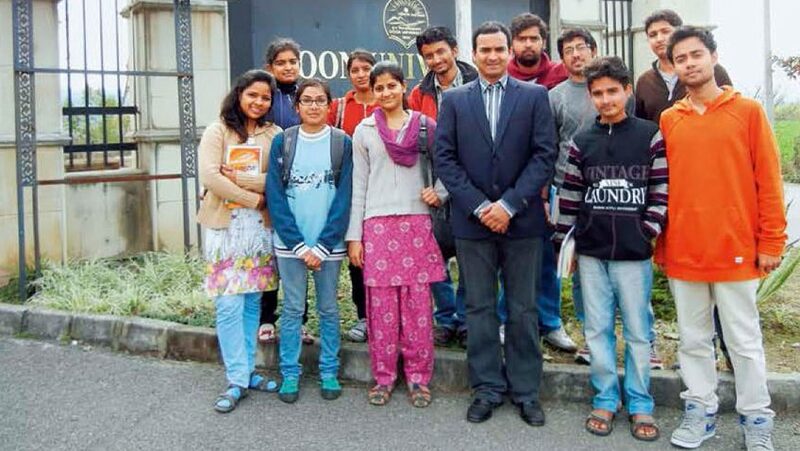 The students always show great interest and take ac­tive part in the class. Lovable students always add joy to my life on this foreign land. at other students’ shops. The teacher is a Chinese customer so the shop “own­ers” will have to promote their goods to the Chinese customer in Chinese. The student, with the largest earnings, is the winner. I was surprised at their creativity. A student designed a lamp store called Lichtgeist, meaning “light spirit,” and pro­moted to his class­mates his imaginary lamps in the shapes of spirits. I took the chance to teach them the frequently used expressions of bargaining. The stu­dents can remember these expressions more easily in the environment of games. They like the games and feel rather free in such an atmosphere. The games have also brought us closer. When they told me “I like your class,” I felt an intense happiness, which is surely a lifelong re­membrance. As a volunteer Chinese teacher, my job is not limited to imparting knowledge of the language; it is also my responsibility to propagate Chinese culture and help the world understand China through my own actions. 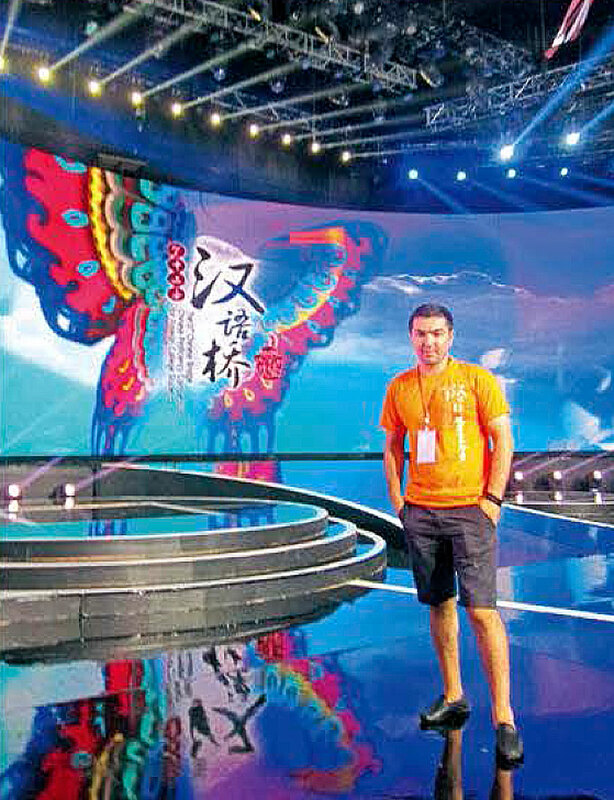 Almost all the volunteer Chinese teachers have other duties besides regu­lar classes – giving lectures on China or making comments in German teachers’ classes on China. From the questions that the German teachers and students raise, I can see their enthusiasm and eagerness to know the whole picture of China. However, their knowledge of China is very limited due to the unbal­anced media reports about China. When I take time to explain the actual situation, they attentively lis­ten and then discuss their questions with me. 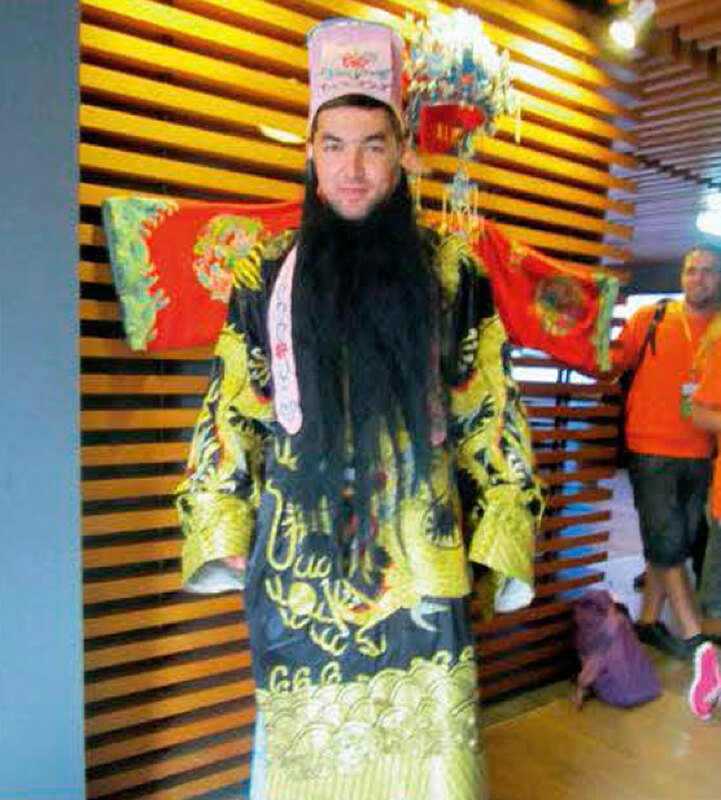 After my lec­tures, many students say they would like to visit China and see how different the real China is from their imagination. 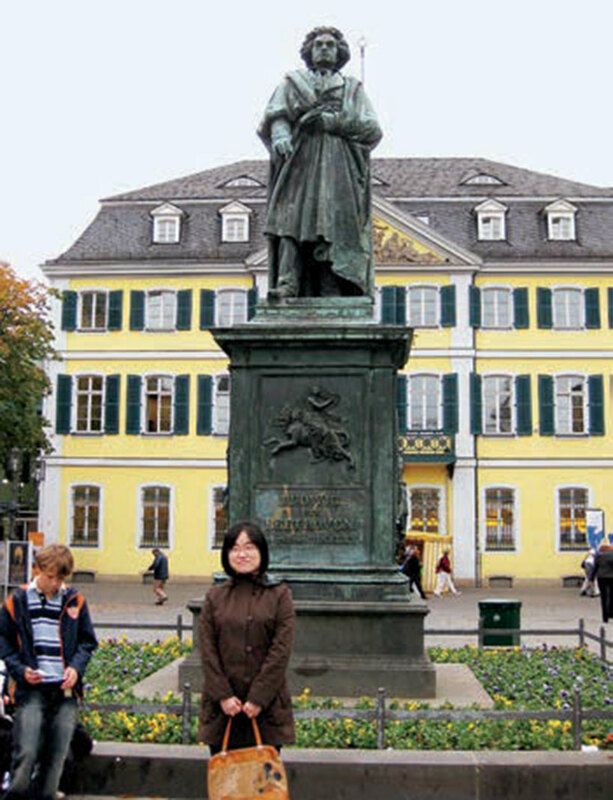 In Trier live many overseas Chinese. 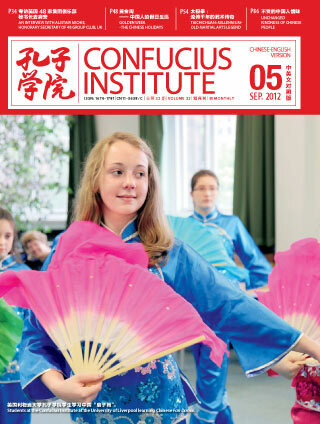 Since the Confucius Institute at Trier University was established, the Chinese learning resources have been further expanded and the teaching of Chinese language has a bright future. As a volun­teer Chinese teacher, I enjoy the colorful experience and it is here that I begin the journey of my future professional life. The waist drum performance in north Shaanxi Province has strong and masculine rhythm, which is suitable for the campus atmosphere. 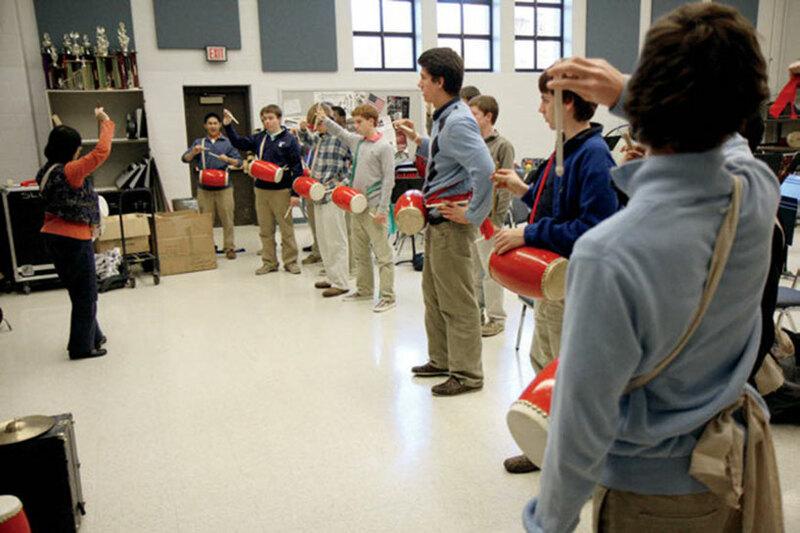 Therefore, Ms. Dai, who has been teaching Chinese language at St. Louis University High School for years, built there a waist drum performance troupe. The red ribbons around the drum sticks danced up and down like flames. While the rhythmic drum music sounded on the stage, the hearts of audience echoed pleasantly with it. A boy student said to his classmates excitedly, “Cool! 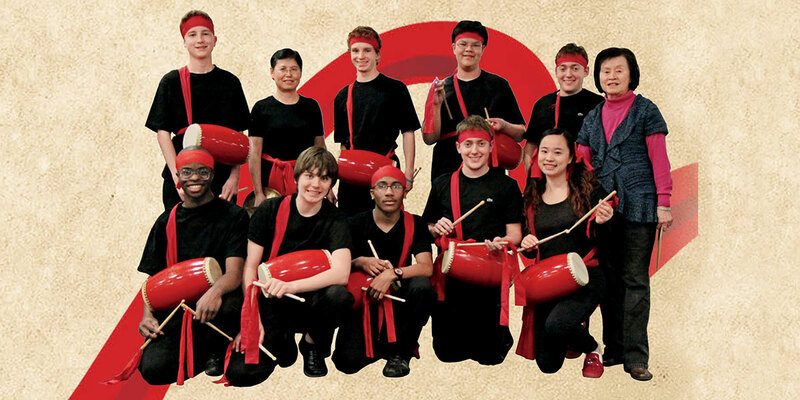 I want to learn how to play the Chinese waist drum.” At this time, Dr. Tai Ching-ling, the teacher at Confucius Classroom in St. Louis University High School, was watching the waist drum performance closely by looking through the curtains at the back of the stage. This was a debut performance made by her student drum troupe. 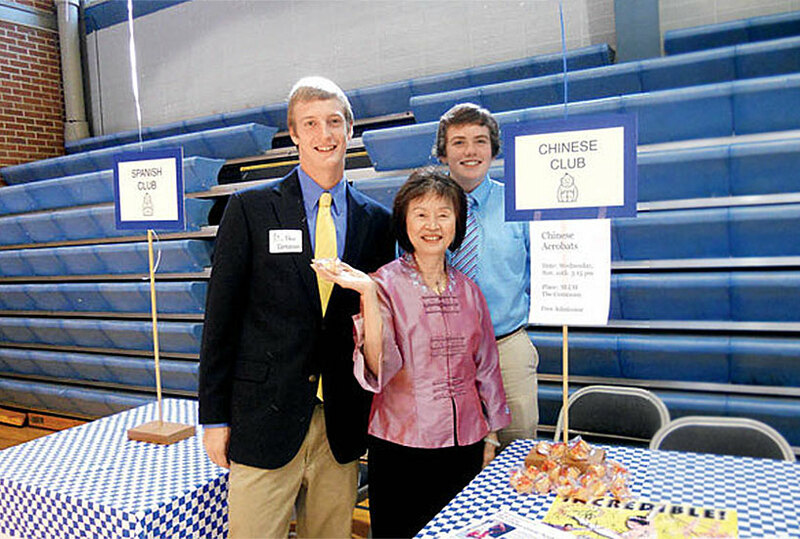 Ms. Dai has been teaching Chinese language at St. Louis University High School for years. 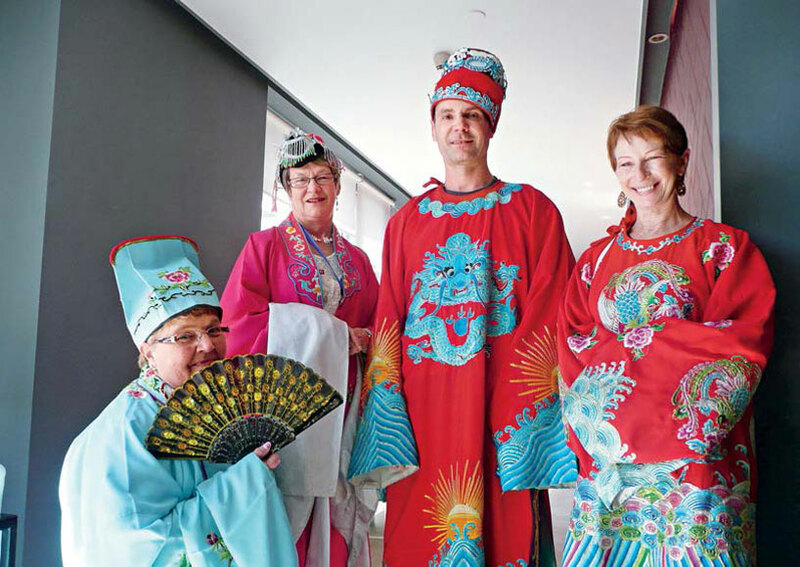 During these years, she has kept considering how to help her students experience the Chinese culture in person. The waist drum performance in north Shaanxi Province has strong and masculine rhythm, which is suitable for the campus atmosphere. Therefore, Ms. Dai asked her friend to purchase waist drums from China and built a waist drum performance troupe. Many students were present on the first day when the drum course was given. However, they found it was not easy to control the small waist drum, so most of them wanted to give up. 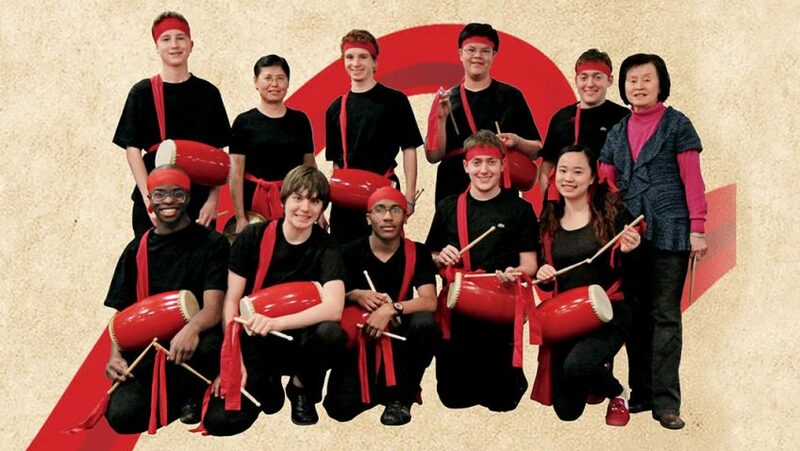 Seeing this, Ms. Dai kept encouraging them and introduced them to Chinese drum culture. Gradually, the drum beat became unified and the troupe started to grow. 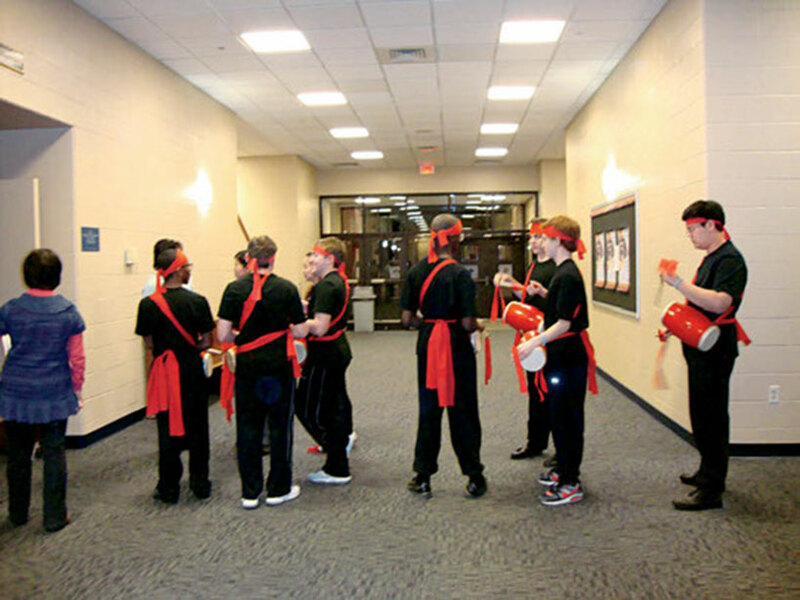 When waiting to get onto the stage, the students were busy practicing playing the drum and changing the formation. Receiving waist drum training and experiencing the Chinese culture in person. 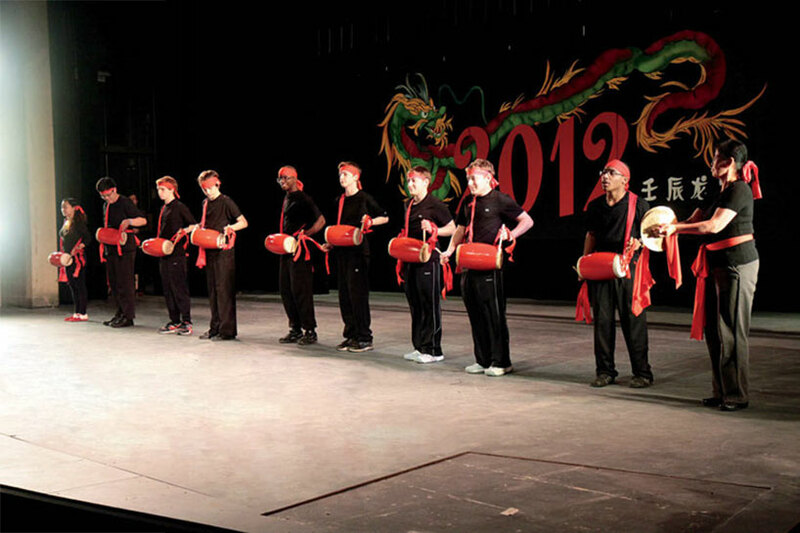 The waist drum performance troupe showed up on the stage celebrating the Chinese Dragon Year. Their presence was warmly cheered. 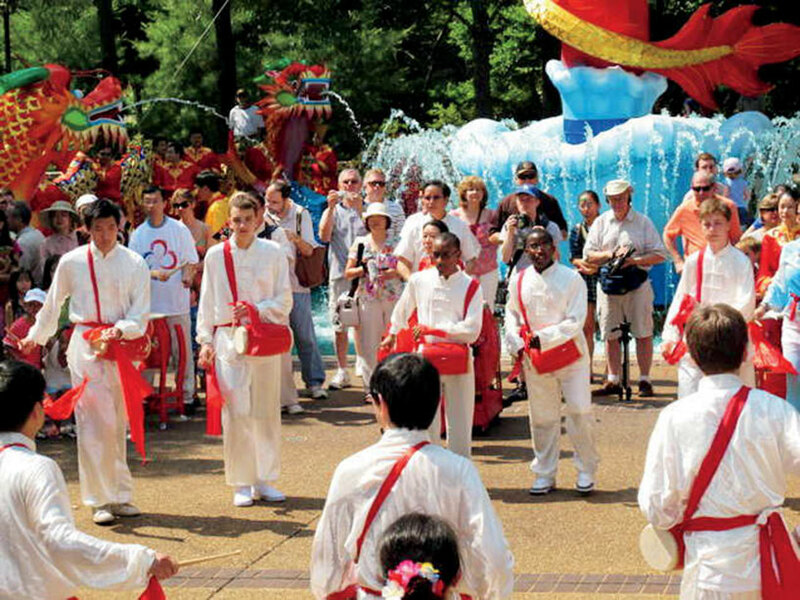 The presence of waist drum troupe captured great attention in the Chinese Culture Days activity in St. Louis. 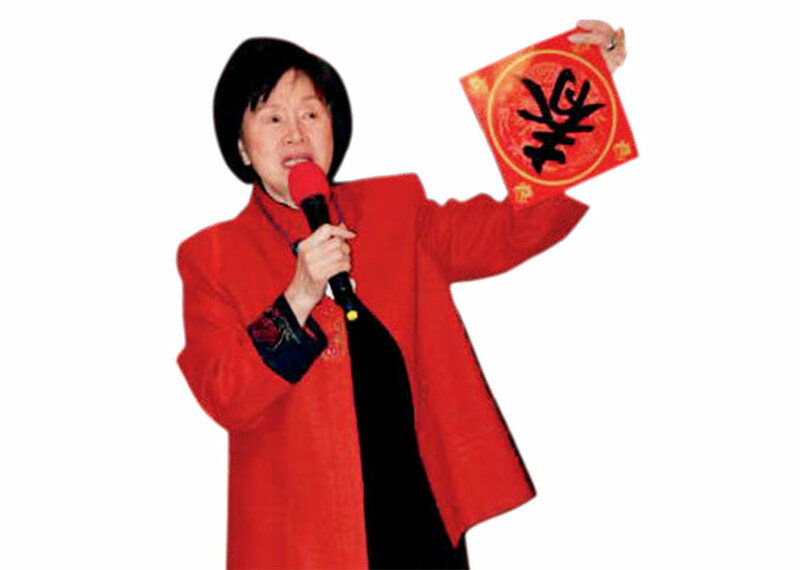 While teaching some Chinese during the waist drum practice, Ms. Dai also introduces the Chinese customs of some traditional festivals in China. This has aroused their keen interest in learning the Chinese language. Ms. Dai is able to tell the name of each student in the waist drum performance troupe in this boys’ school. She is called the Chinese Mum by the students. 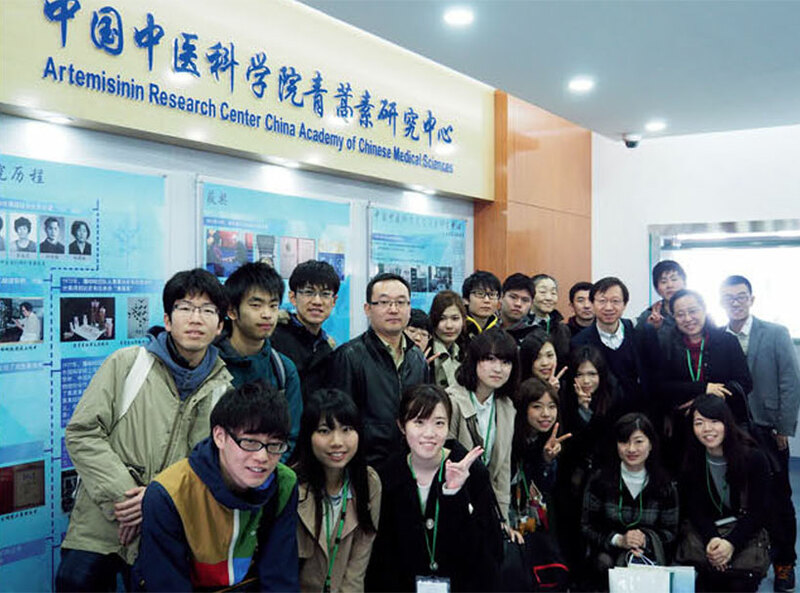 The Chinese Club initiated by Ms. Dai organizes diverse activities and many students work as volunteers here. 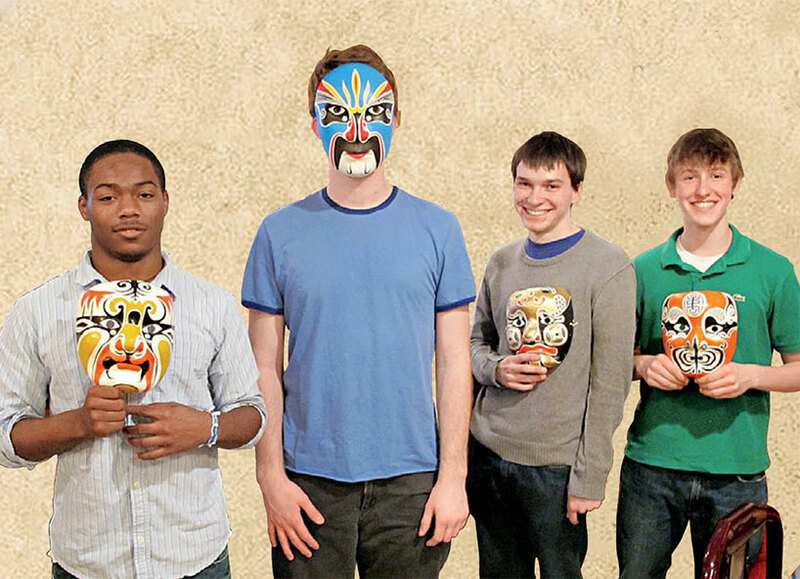 The students in the waist drum performance troupe are showing more interest in Chinese language learning. 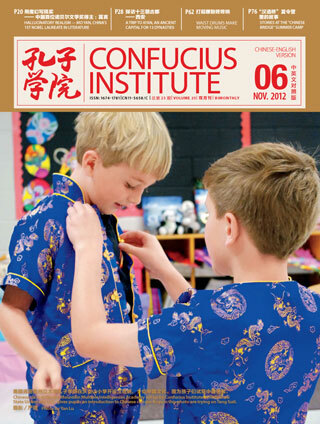 The students like experiencing the Chinese culture in the Confucius Classroom. The colorful Peking Opera facial masks are favorites of young boys. Niyazmuradov lkhtiyor Bahtiyorovich, Uzbekistan: “Chinese may be one of the most difficult languages, but if we study it diligently, then we are sure to get the hang of it. I also use little stories to teach about Chinese culture, such as how every chengyu (four-character idiom) has its own origin, so I’ll tell them about where the chengyu came from”. By Niyazmuradov lkhtiyor Bahtiyorovich, Uzbekistan, Liaoning Normal. 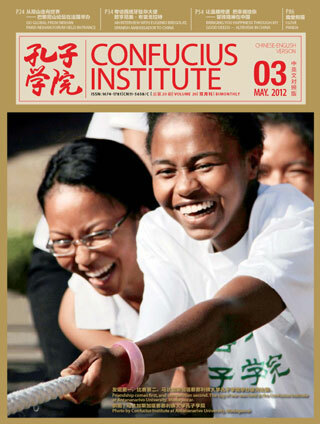 University Confucius Institute scholarship student. When I was a child growing up in Uzbekistan, there was a period of time when my legs would often be sore, so my grandmother took me to the Andijan area, where there was lots of sand, and after putting my legs in the warm sand, I found the pain disappear. “What’s so special about the sand here?” I asked my grandmother in puzzlement. She told me that long ago a Chinese emperor’s daughter was sick, so he sent an envoy to travel along the Silk Road and retrieve the secret cure for her: sand. The envoy journeyed far and wide, and eventually found the precious sand. Just when he arrived at Andijan, a messenger from the emperor told him that the emperor’s daughter had already passed away, so the sand would be of no use. The envoy left the sand in Andijan, and returned to China. Later, many local Uzbeks discovered the incredible healing effects that the sand had on back and leg pains. Soon enough word got around, people from other parts of Uzbekistan who had similar problems flocked to Andijan for treatment. The effects were incredible, and this country with this amazing sand recipe must be mysterious too. What kind of place was China? I wondered in amazement. My grandmother noticed that I was interested in China, so she told me some stories about the country. Among them was the story of Farhad and Shirin by the Uzbek writer Ali-Shir Nava’i. In this Romeo and Juliet – style love story, Prince Farhad falls in love at first sight of the Armenian Princess Shirin. My grandmother told me that although Farhad was an Uzbek name, he was actually a prince from China. So Chinese people can have Uzbek names? If that’s the case, then can I have a Chinese name too? My childhood imagination began to grow. On my ninth birthday, my grandmother gave me a book about Chinese kungfu . I was really into Bruce Lee and Jackie Chan at the time, and one day, without permission, I shaved my head and drew some dots on it, then put on a Shaolin-style robe, and imitated the martial arts moves from the book. Next to each of the images were some squarish-looking pictures. Huh? What are those? They didn’t look like Uzbek script, nor were they like English. With my curiosity piqued, I asked my mother, who was a school teacher, what those were, and she told me, “They’re Chinese characters, the script used in China. It’s one of the most difficult languages in the world. Only if you know Chinese will you be able to understand this book.” Wow! So this is the Chinese language! So if I knew Chinese would I be able to give myself a Chinese name? That was when I secretly resolved to learn Chinese. Experiencing the charm of Beijing. Later, when I was accepted into Tashkent State Institute of Oriental Studies, I had an opportunity to study in China. After I returned to my home school I became a Chinese language teacher. 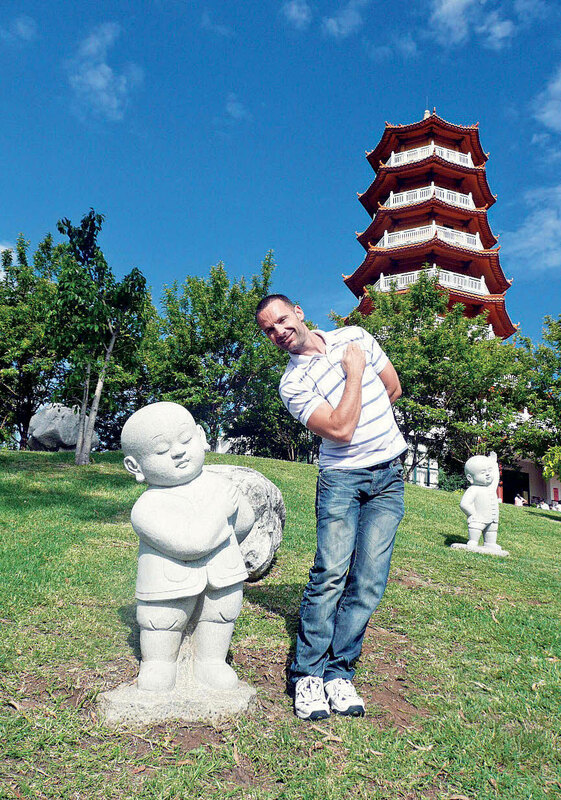 Today, every morning after I get up I practice taijiquan , then I go online and read the Chinese news. I use WeChat and QQ every day to chat with my friends, and listen to Chinese music. My favourite singer is Jay Chou, and the songs I’m best at singing are “Fairy Tale” and “The Moon Represents My Heart”. Now do I not only have a Chinese name, my life is inseparable from Chinese language and culture. Every time I have the first class with new students, I always teach them a Chinese proverb: where there is a will, there is a way. Chinese may be one of the most difficult languages, but if we study it diligently, then we are sure to get the hang of it. I also use little stories to teach about Chinese culture, such as how every chengyu (four-character idiom) has its own origin, so I’ll tell them about where the chengyu came from. I also use jokes and humorous examples to explain the Chinese grammar, sentence structure and collocation. 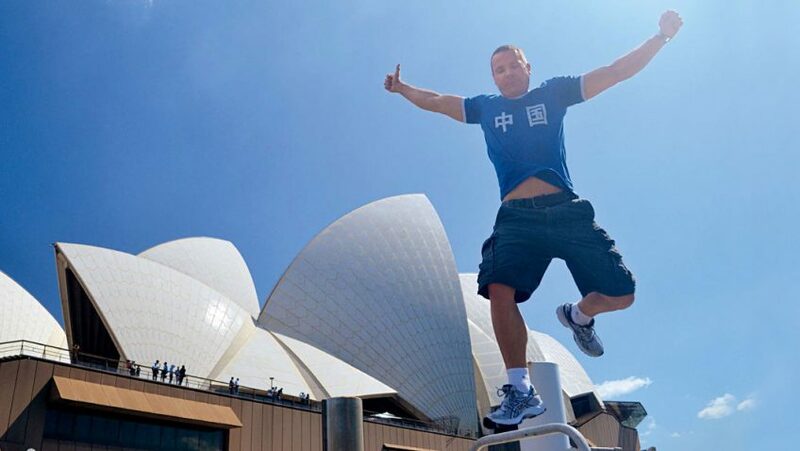 My favourite saying is “It is such a delight to meet friends from afar”; I tell my students that Chinese people are very warm and welcoming, and when we first meet them we may use this saying. There are so many things I want to tell my students, a seemingly infinite number of things. In 2013, Chinese President Xi Jinping proposed the establishment of the Silk Road Economic Belt. 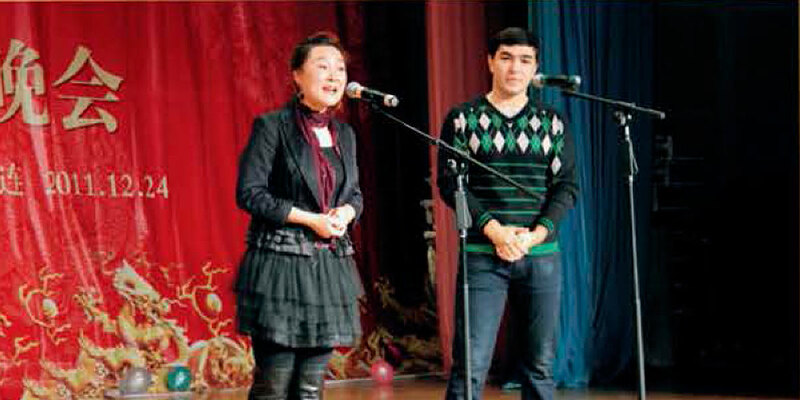 For Chinese language learners in Uzbekistan it was an extremely great opportunity. 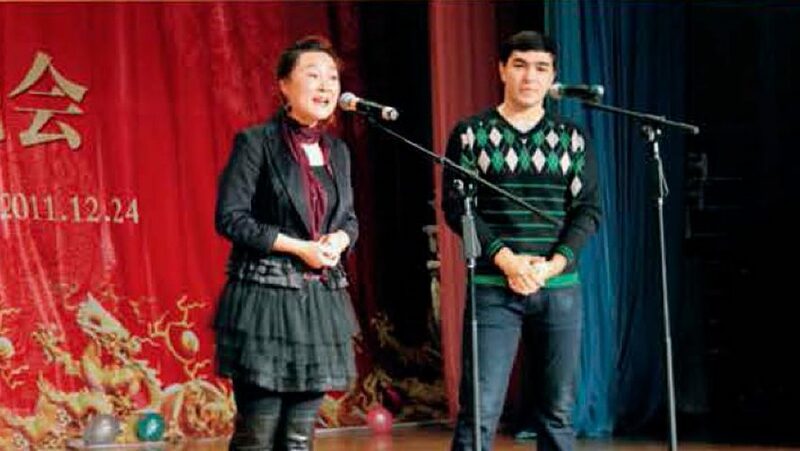 First of all, many schools in China were issuing the “Belt and Road” Scholarship, so it was very convenient for Uzbek students to apply to study there. Second, our school has established collaborative ties with numerous schools in China, so that outstanding teachers from China will often come to teach at our school, and in this way we can also obtain many precious textbooks and supplies. At the same time, more and more forums and symposiums related to the Silk Road Economic Belt are being held in Uzbekistan, which all of our teachers and students have the chance to participate in. After the policy to establish the “Belt and Road” Initiative was launched, more and more young Uzbeks became interested in Chinese. This reminds me of the days when I was a child. Then I made another secret resolution this time to help more young people learn Chinese, so as to bring new life to the ancient Silk Road. Of course, more important was the fact that, since the proposal of the Silk Road Economic Belt was released, the concepts of “policy communication, infrastructure connectivity, trade link, capital flow, and understanding among peoples” that President Xi Jinping had put forward has taken effect in Uzbekistan. An increasing number of Chinese enterprises come to Uzbekistan to invest in building factories, and more and more enterprises from the two countries are making trade collaborations. Direct freight train lines from China to Tashkent have been opened, shipping Chinese products to Uzbekistan, and taking back raw and other materials from Uzbekistan. Soon enough, demand for Chinese language skills has reached an unprecedented high, and our students are highly sought after, but there are still not enough of them to meet demand. 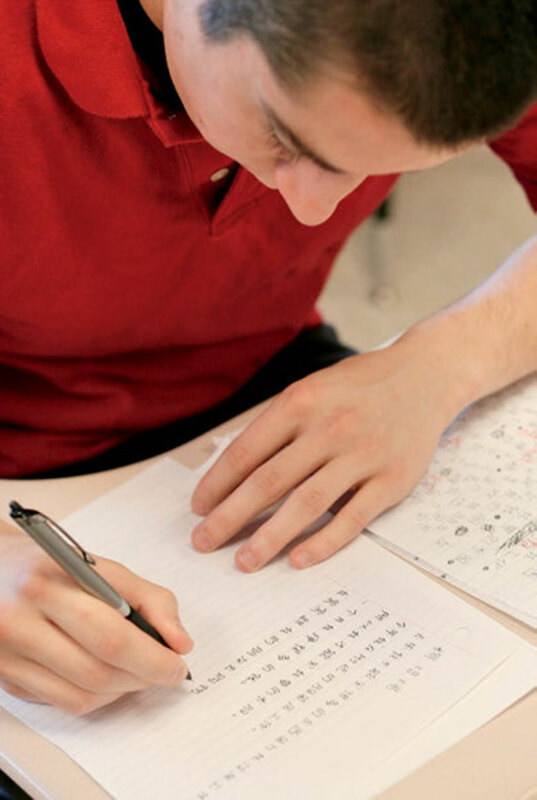 This has inspired many more young people to study Chinese, and our teachers all claim that they are busier than before, but all of them are full of motivation. True, we are busy, and tired, but we are happy! Mr. Xu Jialu’s Speech at Confucius Institute at University College Dublin, Ireland: “Unlike Western medicine that is considered as medical science only, traditional Chinese medicine includes Chinese philosophy, somatology, environmental science, astronomy, meteorology, mineralogy, botany, and humanities, and it also takes account of human soul, mood, and ethics”. People in both developed and developing countries are, to varying degrees, bothered by problems concerning their health and life span. In response, both Chinese and Western medicine should rise to work out solutions. They should work together and learn from each other so as to probe into Eastern and Western medicine and ultimately improve the overall medical service for human health. Unlike Western medicine that is considered as medical science only, traditional Chinese medicine includes Chinese philosophy, somatology, environmental science, astronomy, meteorology, mineralogy, botany, and humanities, and it also takes account of human soul, mood, and ethics. Therefore, to know something about Chinese philosophy is the prerequisite to obtaining a comprehensive understanding of traditional Chinese medicine. China is a big family of 56 ethnic groups. 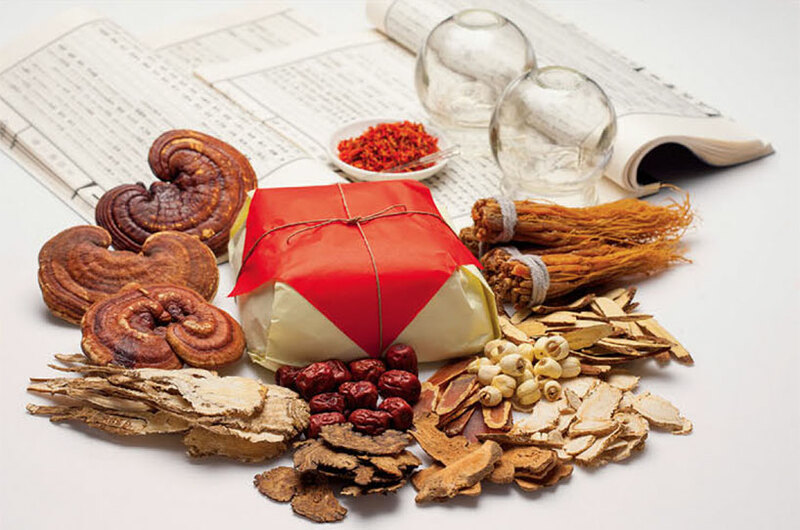 Thus, traditional Chinese medicine refers to the medical experience and knowledge of not only the Han ethnic group but also many others, such as Tibetan, Mongol, Hmong, Hui and Dai. Traditional Chinese medicine has developed six concepts concerning human body: holism, individuality, system, relevance, neutrality and harmony. A person is an organic unity that has his/ her own characteristics and personalities, as there is no leaf the same as another on the earth. 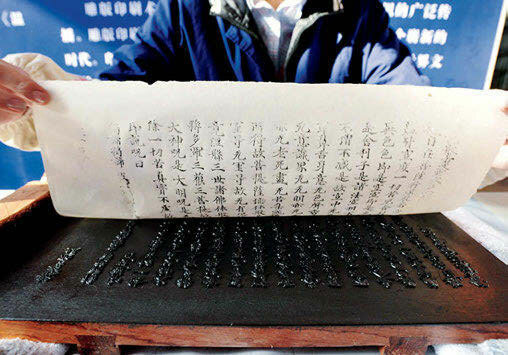 The related knowledge has been recorded in detail in ancient Chinese books dating back to 2,000 years ago. Thus, people should receive personalized medical care because they vary in their genetic inheritance, body structure, living environment, habit and causes of diseases. In one system, one part is related to the others, and even the cells in different parts are related to one another. Only when various organs work together harmoniously, the person could obtain his/her best health status. Beginning from the latter half of the 20th century, Westerners also realized that human body is a systemic entity, which shows the perception upon human body of traditional Chinese medicine and western medicine are coming towards the same direction. What is the philosophical thinking behind the concept of “holism”? First, the universe is a unity, and humankind is one of its components. Human body is also a unity interrelated to the universe. For example, ear acupuncture could come to existence because various organs are responsive to the ears, and the acupuncture points are laid out in an up-side-down direction of a standing person. Another example is foot therapy which targets at the arch of foot, but is beneficial to the whole body’s health and can even cure diseases. I have a story of myself to share. Ten years ago when I attended a conference in Xianyang City, Shaanxi Province, I came across a foot therapist. Shortly after he started massaging my foot, he asked, “Did you once get your neck injured?” “There is a trivial problem with your heart, but not a big deal. Your waist also has problems.” The structural and organic defections in my body are all reflected on my foot, and had been detected by him. The lumbar disc protrusion has bothered me for 3 years now, but the therapist in Xianyang found it as early as ten years ago. In diagnosing, traditional Chinese medical practitioners consider not only the illness itself, but also the mood and feeling of the patient as the base to obtain a comprehensive understanding. 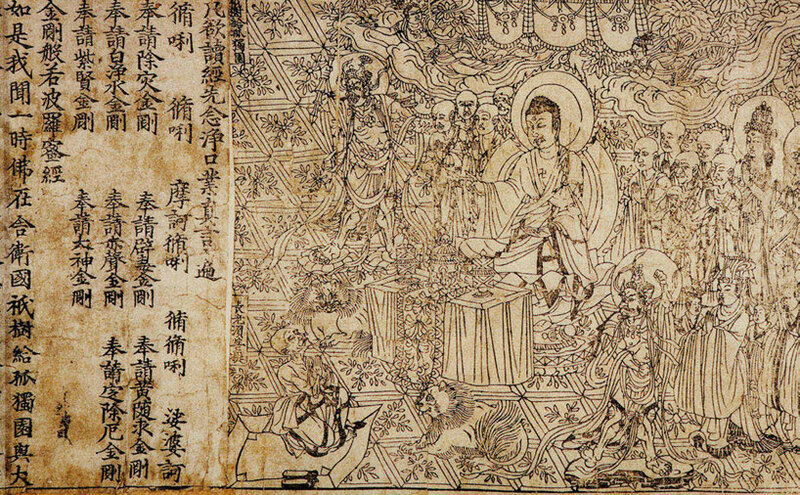 In traditional Chinese medical theory, mental and body health are closely interrelated. One major difference between traditional Chinese medicine and Western medicine is that the former treats people while the latter cures illness. According to traditional Chinese medicine, medical treatment is personalized because people vary in their congenital conditions, family background, growth environment, life experience, food, gender and age. About the “holism” theory of Chinese medicine, there is the perception of visible and invisible, for instance the meridian system. We cannot find it even if we dissect a body and put it under an electron microscope. It shows that modern science cannot explain the meridian system yet, but being unable to explain and prove does not mean that it does not exist. The “harmony” theory of traditional Chinese medicine stresses human’s harmony with nature, the harmony within one’s body, and the harmony between body and mind. 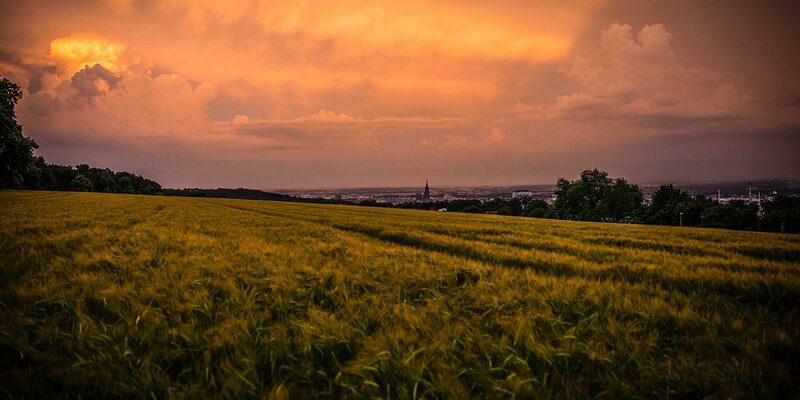 Seasonal climate changes has significant impact upon human health. For example, traditional Chinese medicine advocates treating winter diseases in summer and summer diseases in winter, which demonstrates its recognition of harmony between human body and nature. Many people do sports to keep fi t in order to maintain the balance of body, namely, the harmony among various organs. I have a deep feeling of the harmony of my body. If I had two chicken drumsticks, a beef steak and salad for dinner, I would not be able to sleep until three o’clock in the early morning. Although the appetite is satisfied, the stomach is burdened, and that reflects the disharmony of body. Body and mind need to be harmonious also. If one keeps in a bad mood, his/her body will also be in an uncomfortable state. 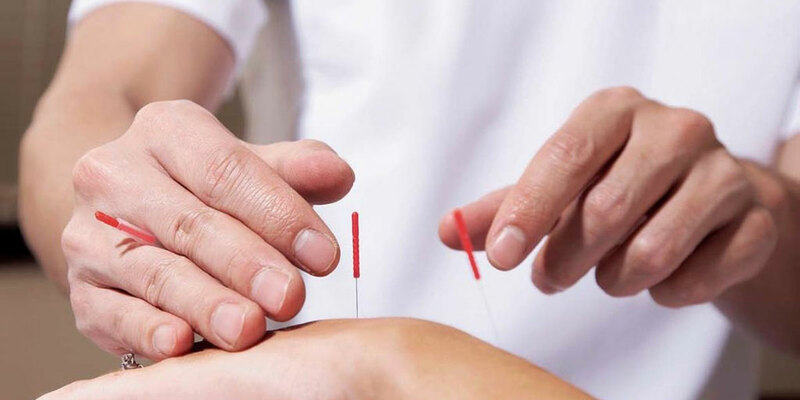 Traditional Chinese medicine has four ways of diagnosis, i.e.inspection, auscultation and olfaction, inquiry, and pulse-taking and palpation, and four principles of prescriptions, i.e. the emperor, the minister, the assistance and the envoy, which means that some medicine is as dominant as an emperor, some is like a minister, an assistant or an envoy, playing different roles in a therapy. It emphasizes the doctrine of “one person, one prescription” and “change the prescription every seven to ten days”. 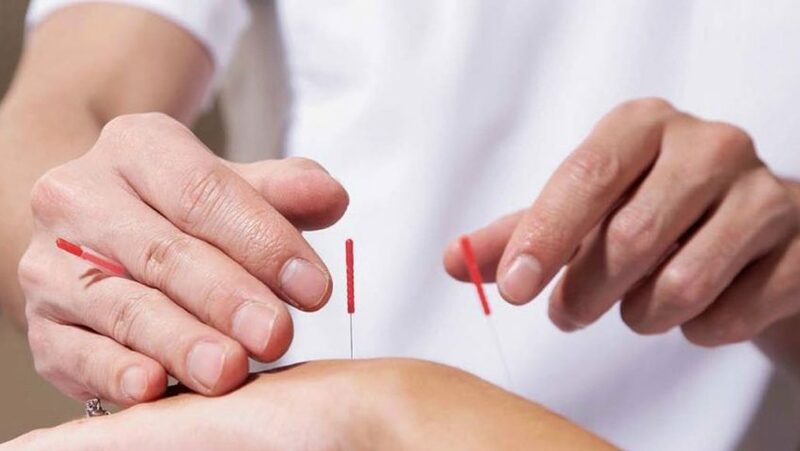 Apart from Chinese herbs, Chinese medical treatment also includes acupuncture, tuina and massage, and stresses the importance of strengthening the body resistance to eliminate pathogenic factors and of caring for both mental and physical health. When my daughter was round six or seven years old, she started to have a low fever lasting for four days. Although it did not affect her schooling and playing, she was always in low mood. We took her to see many doctors but all in vain, until we met a traditional Chinese medicine practitioner. My daughter became revived after taking his medicine only after five days. Traditional Chinese medicine can not only cure illness, but also prevent illness by doing health preservation, taiji, qigong and taking medical food. Most Chinese herbs are plants that can be taken as food, which shows the homology of medicine and food. Besides, there are the sayings of “living with illness” and “living with poison” in traditional Chinese medicine. The most striking example is HIV. China has a therapy that was once widely used in Africa and turned out quite effective. I once paid a visit to the patients and doctors there, and was told that some mine workers and truck drivers with HIV/ AIDS could even go back to work. Although they were still HIV positive, their life and work could go on as usual after receiving traditional Chinese medical treatment. 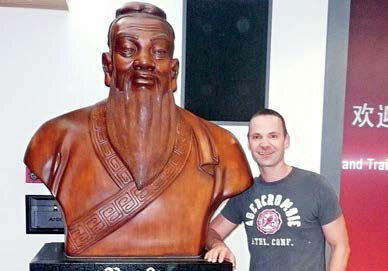 The best example of “living with poison” is traditional Chinese doctors make use of heavy metal. It is unknown to many that when heavy metal is used in one prescription, there is also other herbs to eliminate its side effect. Overall, it’s beneficial to one’s health. Traditional Chinese medicine had many great feats in Chinese history. For example, historical records show that, in the past two thousand years, China has been plagued by as many as 1,400 times of pestilence coupled with wars of various scales. With traditional Chinese medicine, however, Chinese population witnessed a steady growth, and had never experienced that kind of plague that Europe has experienced which kills millions of people and broke out not only one time . Besides, ancient China was one the earliest and biggest agricultural country, where the storage of crops cultivated plenty of mice, and that made it easy to spread pestilence. Thanks to traditional Chinese medicine, there was never such a case in which all lives in a city were taken. And during the process of fighting with the pestilence they developed the theory of the febrile disease. 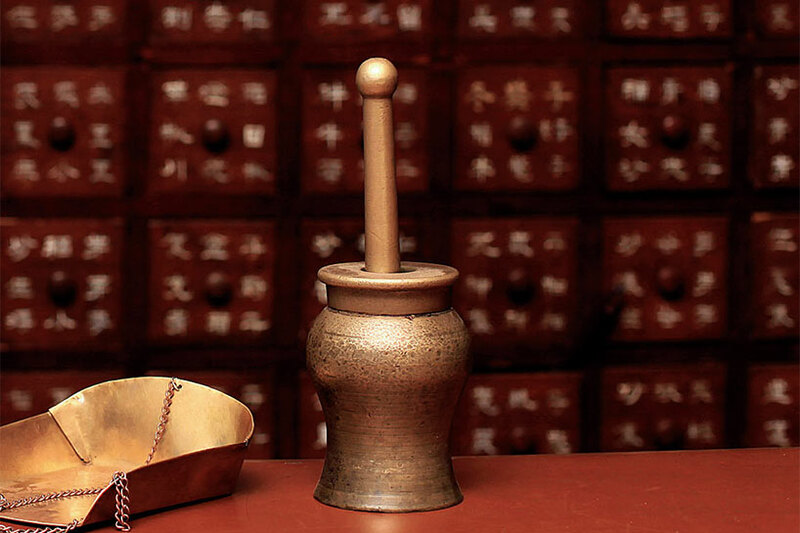 Many nations around the world have developed their own medical theories, and traditional Chinese medicine, as one of the most mature ones, greatly enriches the medical treasury of the entire humankind. Thus, traditional Chinese medicine should learn from the excellent medical theories of other nations, including Western medicine to take merits of others to make up for the shortage of itself. Futher more, it should also work together with other medical theories to safeguard and improve the health of the entire human race. Nowadays, traditional Chinese medicine also encounters difficulties. It is hard for traditional Chinese medicine to be accepted by and integrated into other cultures because there are gaps or even misunderstandings among them and their perceptions toward human body and the universe are different. What makes it even harder is that medicine involves a wide range of areas like science, policy, education and business. Generally speaking, the differences between Western medicine and traditional Chinese medicine can be categorized into the following aspects. The former stresses on analytical thinking, and thus relatively accurate, while the latter stresses on comprehensiveness, and therefore comparatively obscure. The former stresses on commonality, and thus repeatable, while the latter stresses on individuality, and therefore variable. The former uses the same prescription for the same disease, and thus more standardized, while the latter provides personalized treatment, and therefore more flexible. The former targets at the focus of infection, and thus more straightforward, while the latter treats the entire body and therefore depends more on experience. In the meantime, traditional Chinese medicine is embracing opportunities. The world is getting smaller and the gaps among different cultures are also narrowing. People’s mind is changing and they start to recognize more truths. With ecological degradation, medical science as a whole is caught in a dilemma. For example, I once had a talk with the Chief Executive of the WHO China Office. He told me that the world is facing a serious problem, i.e. the abuse of antibiotics, which will result in resistance. When there is resistance, the dosage needed to be increased, which will in turn cause more side effects. As a result, a new type of antibiotics has to be developed. But do we really need antibiotics all the time? Perhaps, traditional Chinese medicine and Chinese culture can offer the world another way to think over and solve the problem. 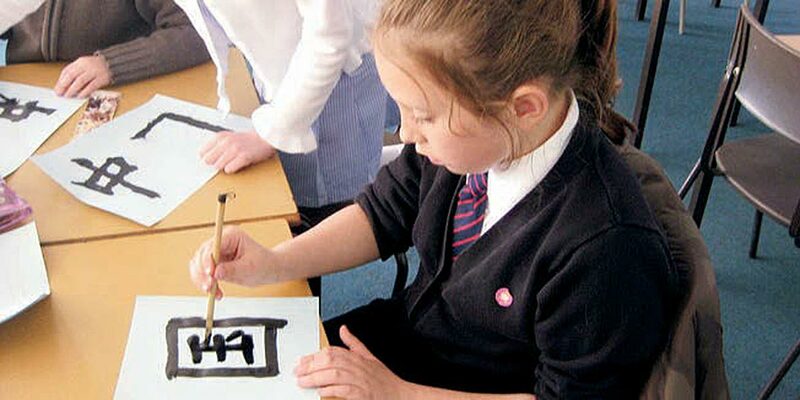 With careful strokes, the students practice writing Chinese characters. 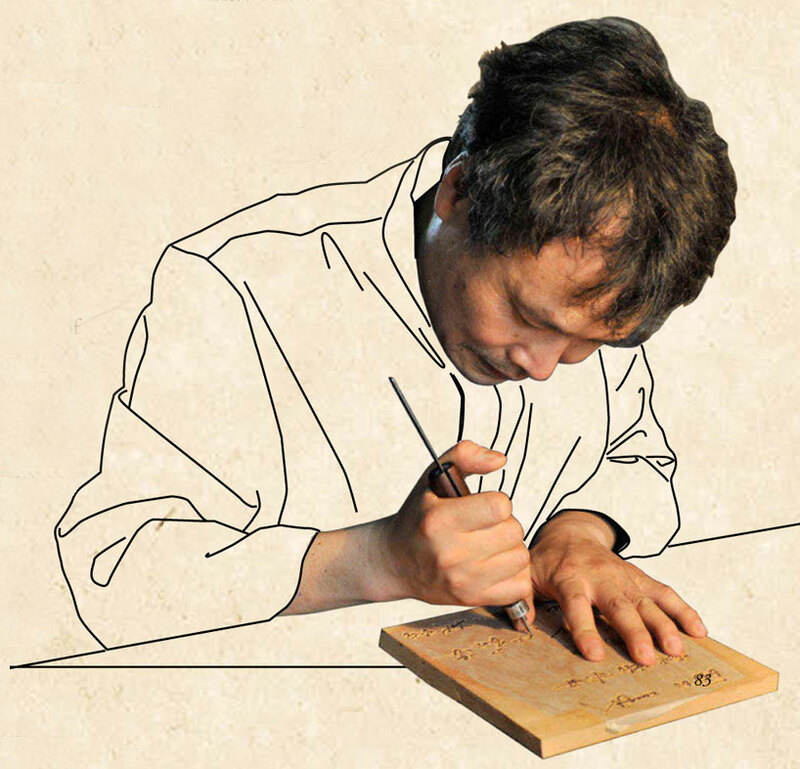 Shang Fei: “Amazed by Chinese characters written with the brush, with lines of uneven thickness and melodically rhythmic strokes where the aroma of the ink lingered, the students repeatedly asked me to write more on spot”. 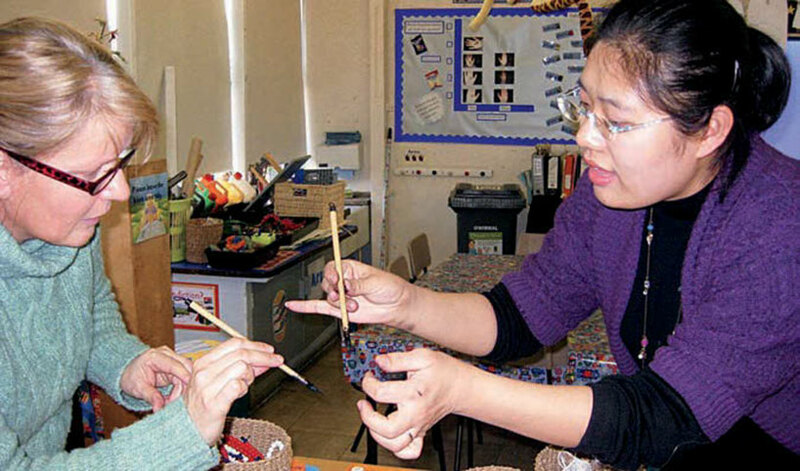 Shang Fei, Teacher of Chinese at the Confucius Institute at Specialist Schools and Academies Trust, U.K. 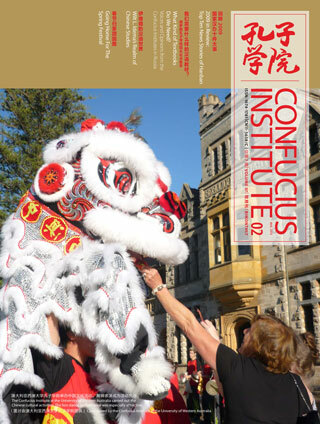 Between September 2008 and July 2009, I taught Chinese language and culture at the Confucius Institute at Special­ist Schools and Academies Trust in the U.K. as a government-sponsored Hanban Chinese teacher. 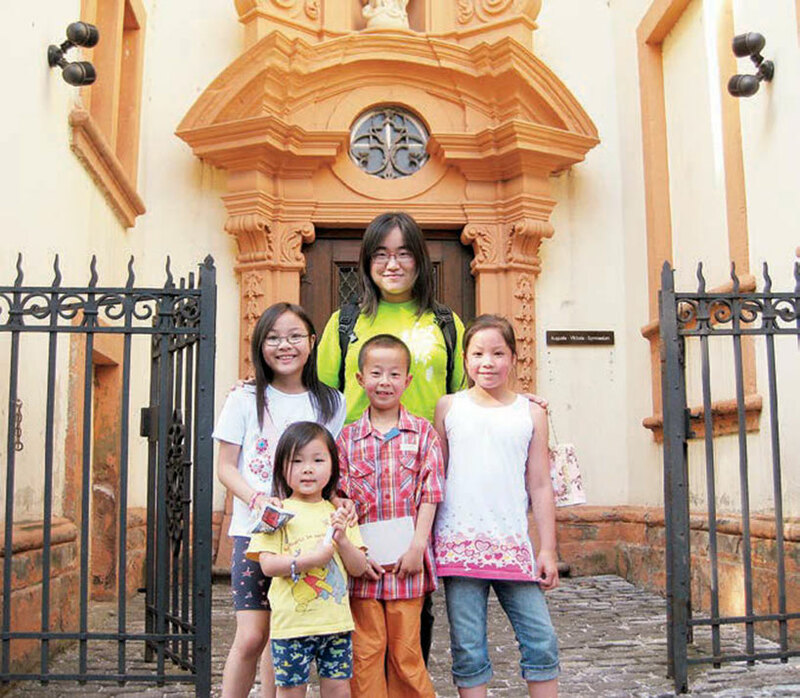 I understood very well that my responsibility as a Chinese teacher who had crossed the oceans to teach in a foreign country was not limited to language instruction, that I was also supposed to be a propa­gator of culture helping foreigners learn about China. When teaching Chinese, I found that, because the sounds and the forms in Chinese are independent of each other, writing Chinese is a difficult task for British students. During one class, I played a little game with the students. I divided each Chinese character into its different components, writing each out separately, with a brush, on different cards. The cards were then shuffled so that they were not in any particular or­der. Then I asked the students to form correct Chinese characters according to my instructions. The British students loved this game. Amazed by Chinese characters written with the brush, with lines of uneven thickness and melodi­cally rhythmic strokes where the aroma of the ink lingered, the students repeat­edly asked me to write more on spot. Seeing the students so eager to learn, I had an inspiration: why not combine chinese calligraphy with the teaching of Chi­nese characters? First, I taught them the correct way to hold the brush and sim­ple versions of horizontal and vertical strokes. Then, every time we reviewed vocabularies, I used slides to show the students, divided into groups, Chinese characters in rapid succession, each slide view lasting only 10 seconds. 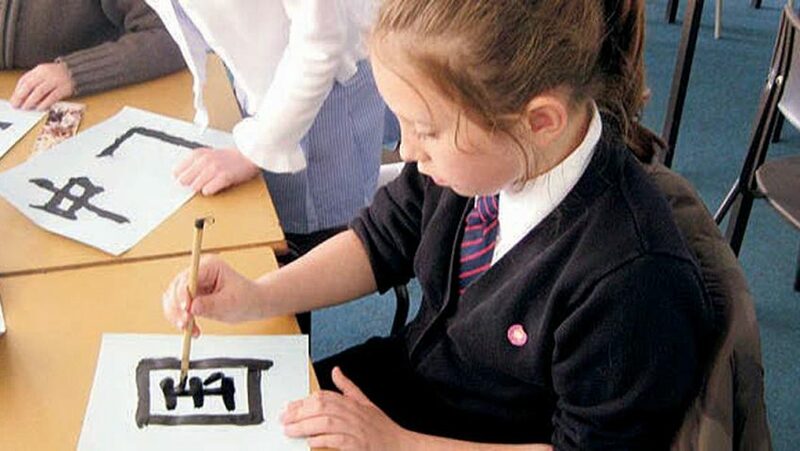 The students, using a brush to write Chi­nese characters on water writing paper, competed to see which group would be fastest. 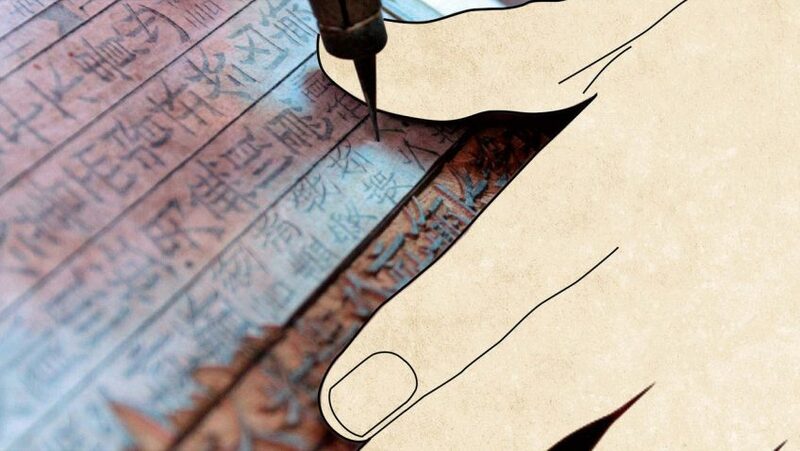 I had never expected that cal­ligraphy could add so much excitement to teaching Chinese characters. To this day, images of the students vying to hold their Chinese characters as high as possible in front of me comes back to me again and again. With my help, the British students now hold a writing brush correctly. In order for the children to feel the joy of learning, in my culture class, I taught them some painting informa­tion to learn to appreciate calligraphy and see the beauty of having calligra­phy and painting in one. I showed the students flash images with elements of Chinese calligraphy and painting. At the sound of the elegantly melodic classical Chinese music, in front of the splendid beauty of Chinese watercolor paintings, and at the sight of calli­graphic renditions of Chinese charac­ters that were ethereal or free or rugged or gracefully restrained, these British children invariably found themselves in awe of traditional Chinese culture. The students also displayed a keen interest in the “Four Treasures of the Study” when I showed these to them. 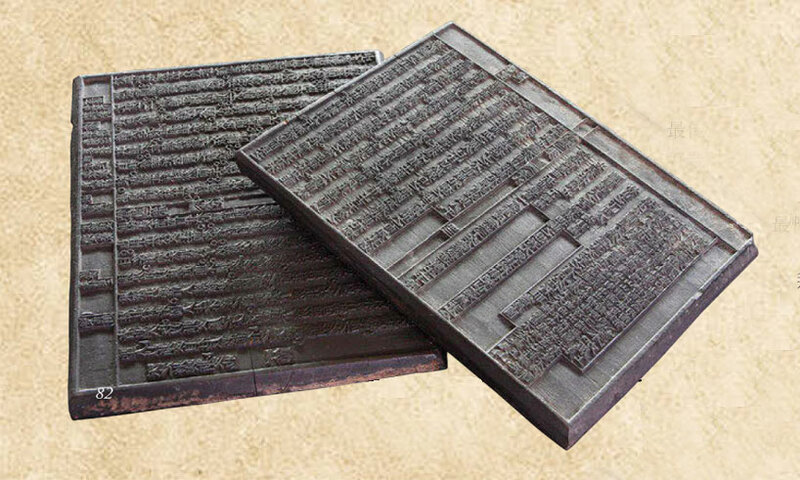 They were stunned to see the carved patterns and images on the little ink stone so full of auspicious symbolism, to witness the thin rice paper so capably receive strokes of inked brushes, and to know that the ink stone and mere water can work together to produce shining black ink. “The students surprised me with paintings that invariably de­picted a panda that was clumsily and innocently cute. On each painting was also written the two characters for the word “panda” – with strokes that were exuberantly lively despite the child­ish looks”. Only an amateur of calligraphy myself, I was well aware that I could only offer these children a rudimentary initiation. My hope, however, was that my work would open a door to people interested in learning about China, helping them appreciate the splendor of five thousand years of culture from a different perspective and know the real China. That would make this overseas trip even more worthwhile.